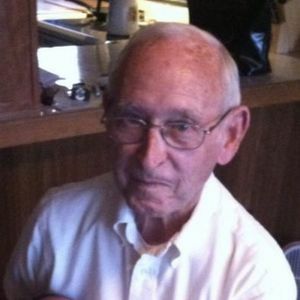 John Perry Bryan, 86, of Bladenboro, passed away on Saturday, October 6, 2018. He was preceded in death by his parents: William and Bertha Bryan; wife: Judy Bryan; two daughters: Catherine Hurst, Margie Hardwick; three brothers: Bobby Bryan, Alden Bryan, Boyd Bryan; two grandsons: Keith Hardwick and Greg Hurst. Perry is survived by two sons: Gary Pait (Karen) of Bladenboro, Willie Pait, Jr. (Vickie) of Lumberton; one sister: Norma Dowless; seven grandchildren: Wayne Hurst, Tracy Pait, Tammy Pait, Curtis Pait, Brittiany Griffin, Summer Pait, Stephen Haas; many great-grandchildren, nieces and nephews. The family will receive friends at 1pm on Tuesday, October 9th at Center Road Baptist Church in Bladenboro with a funeral service at 2pm. Rev. Thomas Hunsinger will be officiating services. Burial will follow service in the Pait Cemetery in Bladenboro. At other times, the family will receive friends at the home of Gary and Karen Pait 761 James Pait Road Bladenboro, NC 28320.